The announcement by the American Society for Reproductive Medicine (ASRM) that egg freezing is no longer considered experimental is just one more step to changing the way patients will access a donor egg in the future. Donor egg banking is finally a reality and likely to become more widely used in the coming years. For years men and women have enjoyed the ease of shopping on line for donor sperm. They can look through a website for a donor who has the attributes most important to them and have the frozen sperm shipped to their doctor’s laboratory. But for those individuals who need a donor egg, it has been a long and arduous process. Traditionally, couples have had to find an egg donor through an agency or through a fertility center. Though a couple may be ready for a donor, few donors will be ready to begin the process of donating their eggs. Therefore the couple must delay treatment until the donor has satisfied the psychological, genetic and infectious disease screening that clinics and the Food and Drug Administration (FDA) may require. Not all donors will pass the screening tests and the couple may find that they need to select another donor. This can again delay treatment. Once the donor is considered eligible to donate her eggs, her menstrual cycle must be synchronized with that of the woman who will receive the fertilized embryo into her womb. Traditional egg donation can take anywhere between 3 and 12 months to complete a cycle. Egg freezing is changing the fertility world. Now, through donor egg banks, couples can shop online in the same way one would shop online for sperm. Egg freezing allows a donor to complete the screening process, begin a medicated cycle to retrieve her eggs and have those eggs frozen and ready to use by a recipient patient. There are many advantages to using a frozen donor egg. Since the donor has already been fully screened and completed her cycle, the eggs are ready for use. There are no waits to access care and begin the treatment cycle. The database for a donor egg bank may also be broader allowing for more choice in the donor selection process. For example, fertility programs who collaborate together on an egg bank will be able to cycle donors reflective of their geographic area. Therefore, a clinic in San Francisco or Hawaii may have greater opportunity to cycle donors of Asian descent and a clinic in Texas may be able to cycle more donors of Hispanic descent. A frozen donor egg bank cycle can be very predictable, taking much of the uncertainty out of the process. For example, potential recipients can find out exactly how many mature eggs are available per donor. No longer does the recipient or intended parent need to worry about how a donor stimulates or if enough eggs will be available. And since the eggs are already frozen, the timing of the thaw and transfer can be conducted at a time convenient to the recipient’s schedule. Success rates with frozen donor eggs rival many fresh programs. Our company quotes a pregnancy rate of 53% and a delivered baby rate of 47%. While success is not guaranteed and many men and women will require more than one cycle to deliver a baby, the success rates of frozen donor egg treatment are very reassuring and help explain why ASRM removed the experimental label. 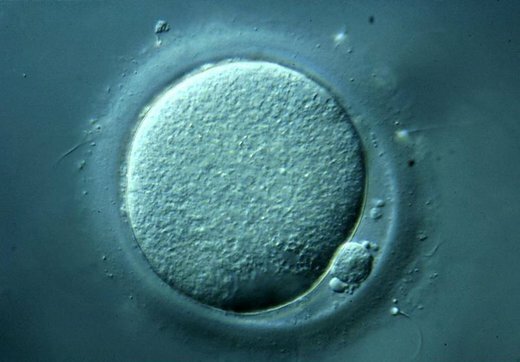 Egg freezing is taking the fertility world by storm this week. Everyone is talking about ASRM’s historic decision to remove the experimental label. While the chatter may die away in a few months time, thankfully, what will last is the positive impact this decision will have for thousands of men and women who need a donor egg to have a baby. Heidi Hayes is the CEO of Donor Egg Bank, USA. She has more than 20 years of healthcare experience, having worked in the fields of pain management, physical therapy, dialysis and reproductive endocrinology. In addition to her understanding of the business of assisted reproductive therapies, she has personally experienced it. Heidi and her husband are the parents of three children and have built their family through adoption and donor egg treatment.